Discover the best fish oil supplement for you. Get ready to learn all about fish oil, why it’s good for you and how to effectively supplement with it. Fish oil is one of the few weight lifting supplements on the market that deserves the attention it gets – because it actually works! Unless fatty fish is a big part your diet, fish oil should be at the top of your supplement wish-list. …However, you can’t expect to have optimal performance or muscle gains if your general health isn’t up to snuff in the first place! On this page, I’ll talk all about fish oil. Specifically, I’ll give background information on fish oil, explain its benefits and potential side effects, and provide dosing guidelines. I’ll also list the criteria I use when shopping for a fish oil supplement. Plus, I’ll give you my recommendation for the best fish oil supplement. Is Fish Oil Supplementation Right For You? Fish oil refers to concentrated Omega-3 fatty acids found in fatty fish (e.g. salmon, sardines, mackerel, herring, trout). Specifically, it refers to the long-chained Omega-3 fatty acids: eicosapentanoic acid (EPA) and docosahexanoic acid (DHA). However, fish oil supplements sometimes include the short-chained Omega-3 fatty acid, Alpha-linolenic acid (ALA). ALA is found in various vegetable oils (e.g. flaxseed, canola, soybean, walnut), as well as in some green vegetables like spinach and kale. …Omega-3 fatty acids are essential fatty acids (EFA). This means that your body cannot synthesize them, but requires them to carry out vital metabolic processes. You need them for proper growth and development, and to be in good health. People who eat western diets rarely consume enough Omega-3. We westerners, however, get a ton of the other type of essential fatty acids, Omega-6. The typical western diet contains an Omega-6:Omega-3 ratio of about 20:1 or more, while the ideal ratio is somewhere between 1:1 and 4:1! Okay, now that we know a little bit about Omega-3 fatty acids, let’s return to our discussion of its components: ALA, EPA and DHA. ALA is the “parent” molecule of the Omega-3 fatty acids family. EPA and DHA are the “children” molecules. Your body cannot synthesize ALA. However, it can convert ALA into EPA and DHA; though not very efficiently. ALA, it should be noted, is not a fish oil. As such, it is not the focus of this page. I only brought it up in the context of EPA and DHA. To truly enjoy the positive effects of DHA and EPA, you must consume them in large enough quantities. Hence, the usefulness of a fish oil supplement. Reduces Triglycerides (Fat) in the Bloodstream. High blood triglyceride levels are a signature component of dyslipidemia (excessive fat/cholesterol in the bloodstream), which can lead to heart diseases like atherosclerosis (hardening of arteries from a build-up of fatty material). Luckily, fish oil has the well-known effect of lowering your blood triglyceride levels. Thus, it attacks the problem at it’s source. Reduces Blood Platelet Aggregation. Fish oil prevents the excessive and dangerous build up of blood platelets. Such a build up can lead to blockages in veins and arteries, and ultimately to ischemic or thrombotic strokes (i.e. strokes induces from blood clots). Lowers Blood Pressure. Fish oil has been shown to significantly lower both systolic (the top number) and diastolic (the bottom number) blood pressure in individuals with hypertension (high blood pressure). Unlike many prescription hypertension drugs, it doesn’t negatively effect your cholesterol or come with a laundry list of serious side effects. Reduces Inflammation. Some inflammation is a good thing. It’s the body’s attempt to eliminate pathogens and other detrimental stimuli. However, excessive and long-term inflammation is a bad thing, and is involved in, or can lead to, a host of disorders. These disorders include atherosclerosis, rheumatoid arthritis, acne, asthma, inflammatory bowel disease and many others. Fish oil’s anti-inflammatory effects may help to prevent inflammation-related disorders, or lessen their symptoms. Helps Treat Behavioral & Mood Disorders. Fish oil may aid in the treatment of mood disorders (e.g. bipolar disorder, depression) as well as behavioral disorders (e.g. ADD/ADHD, addiction). Although further research is needed, several studies thus far have shown fish oil to have stabilizing effects on mood and calming effects on hyperactive and impulsive behavior. Considering that the brain consists of about 8% Omega-3 fatty acids, it’s not hard to see how fish oil could have dramatically positive effects on the brain functioning – especially if there is a deficiency to begin with). Promotes Bone Health. Although research is relatively new in this area, the current evidence suggests that fish oil improves bone health. A higher Omega-3 fatty acid intake seems to be directly related higher bone mineral density. Moreover, higher omega-3 levels have been shown to both promote bone mineral density growth and to prevent its decay. Improves Hair, Skin & Nail Health. Got lifeless hair, dry and flakey skin or brittle nails? These are the initial symptoms of an Omega-3 fatty acid deficiency. Taking a fish oil supplement will correct the deficiency. You’ll have shinier hair, smoother skin and stronger nails. While fish oil’s benefits are certainly something to be excited about, it’s important to realize that there still exists the potential for side effects. That said, the potential side effects of fish oil are relatively few in number and generally mild in intensity (though serious in extreme cases). They typically only occur if a person consumes an excessive amount of fish oil and/or if that person has certain health and medical issues (which I’ll explain in the next section). Immune Suppression. 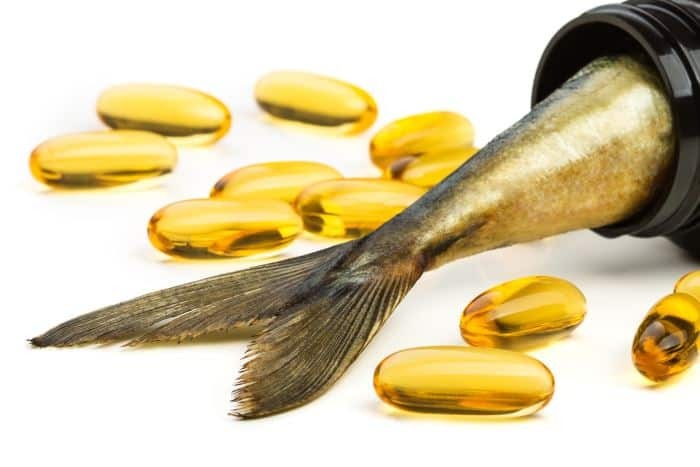 It is theorized that taking unnecessarily high doses of fish oil can suppress your immune system by producing an amplified anti-inflammatory effect. While we know that an excessive or long-term inflammation is a bad thing, a normal inflammation response is vital for eliminating pathogens and other threats. Bleeding Risk. As mentioned in the benefits section, fish oil reduces blood platelet aggregation. This is good to an extent. However, if you consume too large a quantity, this likely increases the risk of thinning the blood to the point where it impedes upon the vital function of clotting. The spectrum of consequences could range from mild nosebleeds to a hemorrhagic stroke. Allergic Reaction. Though rare, some people experience allergic reactions from fish oil supplements. The reaction, which can range from mild to severe, takes place in the upper respiratory tract and can result in itching, redness, hives, swelling and difficulty breathing. This, however, doesn’t happen to just anyone. It occurs in those with an allergy to fish, or to the capsule material (e.g. gelatin). You should probably know by now if you have these types of allergies. Gastrointestinal Irritation. Fish oil may cause gastrointestinal issues, such as an upset stomach, gas, bloating and diarrhea. This may be due to a fish oil supplement that has gone bad, which can happen if left exposed to light, heat and oxygen. Or, you may simply have to wait a couple days to allow your body get used to the supplement. Fish Burp Breath. In the time after taking your fish oil supplement, it’s not uncommon to experience distinct fishy-tasting burps. It’s not pleasant, but you can avoid or mitigate this side effect by always taking your fish oil during or immediately after a meal. As mentioned above, the cause may also be due to rancid fish oil. If you think you may be experiencing any of these side effects (except “fish burp breath”) after taking fish oil, then you should reduce your dosage or stop altogether. Then, consult a doctor before increasing or continuing your supplementation regimen. Have a tendancy to bruise easily, as this may increase the risk of bleeding. Have liver disease, as this may also increase the risk of bleeding. Take blood pressure meds, as this may cause an extreme drop in blood pressure. Have a heart condition, as this may cause unforeseen complications. Have a fish allergy, as this may cause you to swell up like a balloon. Have a behavioral or mood disorder, unless you consult your doctor first. Have HIV or AIDS, as this may threaten an already fragile immune system. Of course, it’s always a best practice to consult a qualified doctor whenever starting a new supplement. Also, see the site disclaimer. Please see the fish oil dosage page for a complete guide on proper dosing. A good goal for most healthy individuals is to consume between 2000-3000mg of combined EPA/DHA per day. The typical fish oil supplement contains between 300-600mg EPA/DHA per capsule (it varies between brands). So if you have 500mg per capsule, you’d need 4-6 capsules per day. If you have any of the potential health risks as discussed in the previous section, I strongly encourage you to consult a doctor; or at least start with lower fish oil dosage (e.g. 500-1000mg EPA/DHA per day). Your EPA/DHA intake should be calculated from both supplement and actual fish intake. Fish Oil Capsules > Straight Fish Oil. Fish oil capsules are more portable and less messy than straight fish oil liquid, because they don’t require the use of a measuring spoon to get and take consistent serving sizes. Also, if you were to spill your bottle of fish oil, you’d have better luck salvaging capsules instead of straight fish oil. Plus, who wants to deal with the nasty aroma and taste of straight fish oil? If you’re fine with all of this, then by all means, go for it. 300+ mg of EPA & DHA Per Capsule. I advise buying a fish oil product with at least 300mg of EPA/DHA in each capsule because anything much smaller than this quantity would mean having to take an even greater number of capsules. I find that annoying. Taking 7-10, 300mg capsules is where I draw the line! 😀 As a side note: when you are looking at the nutrition facts to find a product’s EPA/DHA per capsule, you must take the serving size into account (i.e. the serving size for some products is two or more capsules). EPA:DHA Ratio of 3:2. 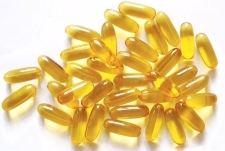 The EPA:DHA ratio can vary greatly from one fish oil supplement to the next. In studies, benefits have frequently been realized with an EPA:DHA ratio of 3:2. Other ratios have shown results, too, but there is no conclusive evidence of an “ideal” ratio. Therefore, I think its a logical bet to choose a product with a 3:2 ratio. Though something right in the middle like a 1:1 ratio is just as safe a choice. Conveniently, though, it is most typical to find fish oil products with the 3:2 ratio. But don’t lose sleep if the one you have doesn’t precisely match my guidelines. 3rd-Party Quality Certification. Since accurate dosing is paramount to receiving the full benefits of fish oil, it’s important to be certain that your supplement actually contains its listed EPA/DHA quantities. You also want to be sure that it is free from dangerous levels of mercury and other toxins. There are several organizations that do this detective work for you, including the following: United States Pharmacopeia (USP), International Fish Oil Standards (IFOS), National Products Association, NSF International and ConsumerLab.com. It’s certified by the National Product Association for product quality. A 240-capsule bottle lasts you a minimum of 2 full months (4 per day). At approx. $22 per bottle, or ~9¢ per capsule, it’s a great value.